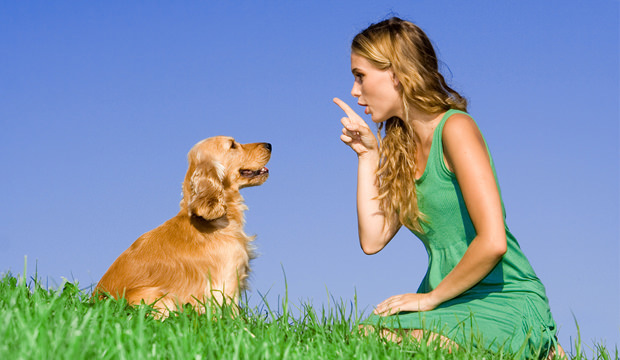 “Stay” is an extremely useful command for dog owners to teach their dogs. In some cases, it may even be life saving. For example, if your dog gets loose and is about to wander into traffic, giving your dog a “stay” command can save your dog’s life if your dog has a good grasp of stay. When beginning the training, it’s a good idea for your dog to have a consistent “sit” or “down.” Standing “stays” are typically more difficult than a sit “stay” or down “stay.” Pick a time to train when your dog is a little hungry and have small treats as a reward handy. Plan on practicing the stay where there are little or no distractions. 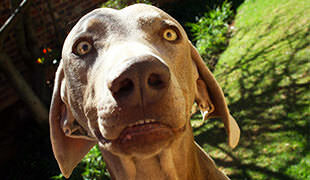 Also, choose a time when your dog is a little tired from exercise and not keyed-up. That way you can set your dog up for success. Have your dog sit or lie down and hold your hand out as if you’re giving a stop signal. Say “stay” and count silently to ten. If your dog breaks her stay, don’t scold her. Just put her back in stay, reinforce the command with “stay” and the hand signal, and try again. This may take a few times for her to get the idea she needs to maintain the sit or down. Once you get compliance, give her the release word and a treat. The release word is typically “okay” but “yes” or any other word will suffice. If she doesn’t jump up or move, give her an enthusiastic pat and give her the release word again. Make a big deal out of it. Once she is out of her stay, put her back into sit or down and give her the command again. Like before, make any corrections should she break the command and release her and give her a treat after she holds the stay for a silent count of ten. 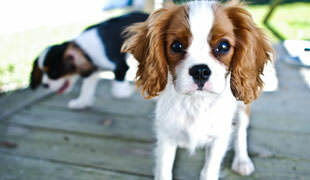 Once your dog is reliable in stay to a count of ten, you need to increase the time spent in stay. Increase the time by a little bit (maybe to a count of twenty instead of ten) and practice with that length of time until she has a reliable stay with that. You can slowly increase the time until she’s reliable for three minutes or more. When your dog is reliable in stay, you may want to try her staying power in different locations. That may mean a new spot indoors, a place within your backyard, or on leash outside someplace. Wherever you choose, plan on making the next place with as few distractions as possible so that your dog will be able to focus on the command. When your dog is solid on her stays, try adding some distance between you and her. If you’ve been working on stays right next to her, separate yourself by five feet after you put her in stay. (If five feet is too far, try a shorter distance.) Increase your distance only after she has a reliable stay at the distance you’ve chosen. When your dog has a solid stay, you can consider adding distractions. Add distractions slowly and be prepared that some distractions may be too tempting to not break a stay. When you do add distractions, be sure your dog is either on leash or in a safe place where she cannot escape and get lost. 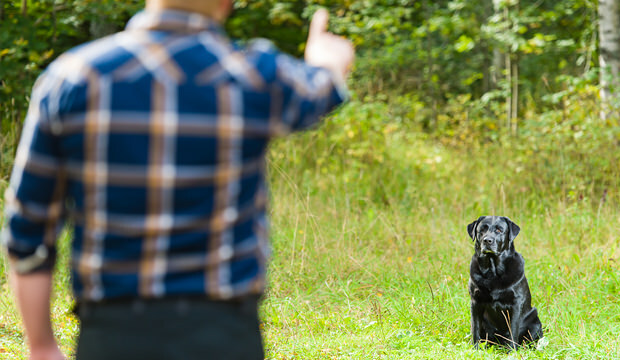 Off leash stays need to be practiced only when your dog is solid on her stays and in a completely safe environment where you can get your dog back should she break her stay. Otherwise, you may lose your dog due to unexpected distractions. Only add one complication at a time. You can add distance, time, or distractions, but only one at a time. Otherwise, you’ve set your dog up for failure. Likewise, don’t over train on any given day. A very tired dog is unlikely to be able to comply with your command. Lastly, always end your training on a positive note. You want to build on progress.